Get your kids Tech strong in one of our Tech Camps. Celebrate your child’s birthday Minecraft style! Bring Tech to your school! Celebrate your child’s birthday Fortnite style! 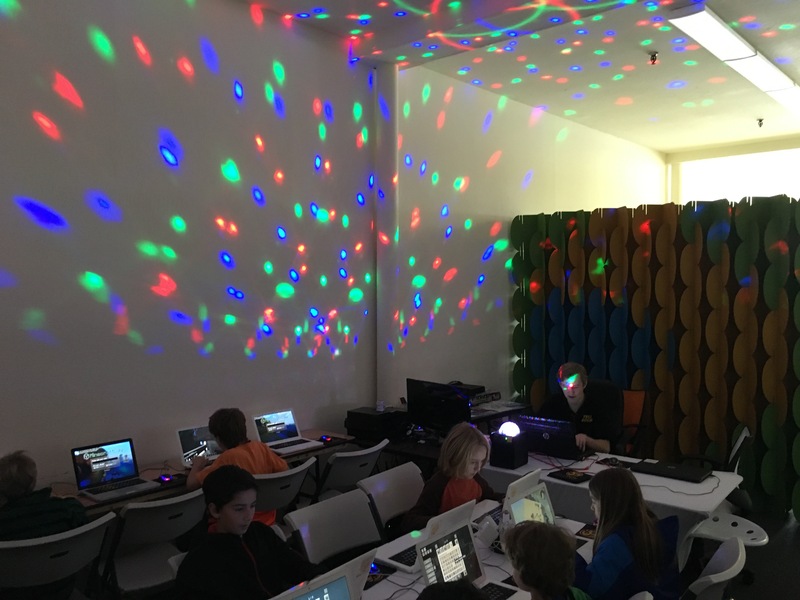 Minecraft Birthday Parties – Creating unique gaming experiences along with skills of teamwork, cooperation, and fun. Tech Rocks is proud to introduce its latest initiative in technology education: Technology Learning Communities, which we call TLCs. 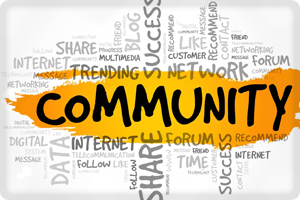 As a provider in the Tech Ed space for several years, we understand the nuances and have identified the best ways to create communities with a strong technical foundation. We have created these TLCs to help foster growth & learning, and better improve the communities of which we are a part. We understand that parents are the critical link in our TLCs and help us connect with community resources to better fulfill our mission. We align with parents to work with schools, partner with local businesses and improve our programs to provide the best curriculum we can for our students. What grades are your child(ren) in? 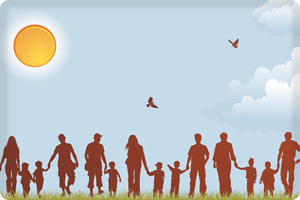 How would you like to contribute on the Parent Advisory Board? Does your facility have its own computers? Can we install software, if necessary, on computers at your facility? Tech Rocks wants to make a positive impact in the communities we serve. By partnering with local and public organizations, we hope to further our reach to provide our services to eager students of the community. We are proud to do what we can to help our local communities. Here are few organizations that we have worked with to provide kids a fun tech education. If you would like to request a donation to your school or organization, please complete our Online Donation Form. Thanks! 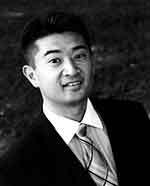 Alvin Desuasido is a local San Mateo parent and experienced Information Technology executive with over 25 years of experience in computer programming, hardware/software and all forms of digital technology. Working his way up from an entry level developer to an IT Executive, his experiences have helped him develop a comprehensive understanding of all areas of technology. His broad expertise ranges from creating several successful business startups, e-commerce, database design, complex web applications, enterprise-wide systems, and developing globally ranked mobile apps for both Apple iOS and Android. As a member of the Computer Science Teachers of America (CSTA), he is combining his passion for teaching with his love of technology. His aim is to provide all his students with the strong foundation of technology that will help them succeed in their bright futures. Got questions? We've got the answers. I took my 2nd Grade Brownie troop to Tech Rocks to earn their Computer Expert badge. It was fantastic – the BEST field trip experience the girls have had yet! Teacher Alvin put together a wonderful program and he addressed all sorts of tech apps and software, including a bit about internet safety that really got the girls thinking about being online. I HIGHLY recommend Tech Rocks!! Thank you Teacher Alvin! Great program! My son really enjoyed it and can’t wait to do more! Great place! My son loves the classes & Alvin (the teacher) is very knowledgeable, easy to work with & makes class engaging. We will be back for sure!!! I really like playing the games and we can even play with my friends in class! My son loved this camp! He had a great time and wants to go back. My son generally doesn’t enjoy camps, but he really loved this one. This suited him well because he enjoys video games and the social atmosphere of the kids helping each other. I liked it because he learned skills that I wouldn’t normally try to have him learn, i.e typing and coding. TechRocks is a good introduction to coding, typing and minecraft. My daughter had fun with the camp ~ thank you! My son is 11 and he grew up on numerous camps during summer, winter, and spring. This was his most favorite camp so far. He not only had a fabulous time but learned a ton of new things related to programming. Excellent teacher, excellent group of children, and excellent structure of the week of learning. We will definitely be back!!!! Tech Rocks! is the perfect place to have a minecraft party. To be honest I really didn’t know what minecraft was however Teacher Alvin did a great job keeping the kids focus and entertained. I would definitely return and recommend Tech Rocks! Minecraft parties to everyone. Our son asked to have his 9th b/d party at TechRocks! He and 10 of his friends had an amazing time at the Mindcraft themed party. The owner and staff were Super friendly, helpful, fun and accommodating with each of our invitees. I could not believe how the kids enjoyed themselves for two long hours non-stop. I highly recommend TechRocks! and I would suggest choosing the longer duration party. The kids will beg you for more time!! 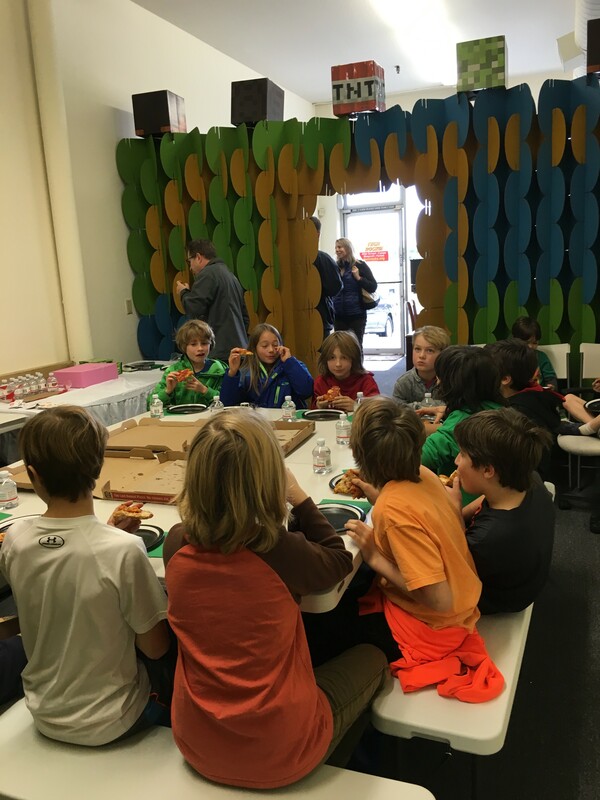 We had a birthday party with 11 boys (3rd grade) at TechRocks yesterday. The boys had a blast! I had no idea gaming could be so interactive! TJ was our host/instructor and he was great. Always stayed calm and made sure everyone got their questions answered or helped when they were stuck. The kids thought it was EPIC! We went to Village Host Pizza with the gang for lunch. Overall a great event. I worked with Nicole to plan the party and she was very efficient too. She even made reservations at the Village Host (where you get 20% if you go there in combination with a TechRocks party). Would totally recommend this if you have a bunch of high energy kids for a party and don’t know how to keep them busy. 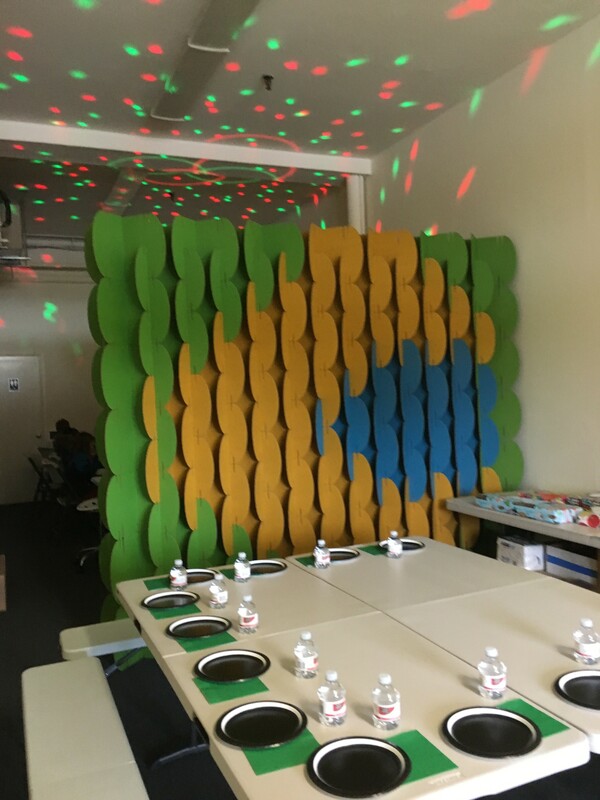 My child attended a Minecraft themed birthday party at Tech Rocks. I was pleasantly surprised to find a welcoming environment that encourages young tech enthusiasts. Alvin, the owner, was very patient with a group of eager kids and made sure that their experience was not only fun but also educational. Because he is great with children, I see Alvin doing well with the students of his after school classes and summer programming camps. Tech Rocks is definitely worth a look if you are thinking of getting your kids into coding. We had a Minecraft party here last weekend. The kids had a blast! Alvin is very patient and made sure all kids had help if they needed it. He is very knowledgeable in the world of Minecraft. He was very accommodating with all aspects of our party and very helpful in setting everything up. Don’t just buy a new video game, make one. Don’t just download the latest app, help design it. The Tech Rocks Intern Program is designed to leverage the skills of our students, while developing additional real world skills, like leadership, work experience, and more! The program is geared towards 7/8th graders, and high school students. Why would you like to work at Tech Rocks? What are some of the way technology has helped you? We are continually looking to expand to other tech-friendly cities. Would you like to see a Tech Rocks in your neighborhood? at your school ? Drop us a note to let us know why your city/school should be next! The Hour of Code is a global movement that is encouraging and promoting the benefits of technology curriculum in the classroom. As part of the Hour of Code, we will be opening the Tech Rocks lab and studio to anyone who would like to try coding, as well as explore any other area of technology that you may be curious about. This will be the perfect opportunity to try it out, ask questions, discover new interests, and get a better idea of how technology plays a role in our lives today. If you are interested in the Hour of Code, please drop by our San Mateo Campus anytime from 3-6pm the week of December 9-13, 2015. Tech Rocks offers camps during school breaks to provide continuous Technology Enrichment to our students. We provide before/aftercare from 8:00am-9:00am and from 3:00pm-6:00pm at $15/hour. No signups needed. We provide before/after care from 8:00am-9:00am and from 3:00pm-6:00pm. After care does not require pre-registration and is billed at $15/hour of total actual time used. For example, if you use 30 min. each day, we will only invoice you for 2.5 hours. Our fun weekly 1-hour classes consist of typing and a facilitated individual programming track (IPT) specific to each student. Our comprehensive curriculum is designed to give your child a strong technological foundation and an understanding of how technology plays a role in our lives today, as well as in their future. One of today’s key skills that will make your child more successful is commonly overlooked. With our acclaimed software, students learn through interactive drills, and have a great time playing our typing games. Behind all that fun, they are building their typing skills with every session. Our goal is to have them touch type, typing each letter with the proper finger and not have to look at the keyboard. 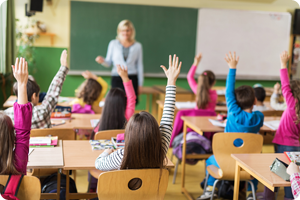 To provide a more focused learning environment, our current class sizes range from 6-10 students per class, but may vary per class. All our courses are taught with your child’s age in mind. We believe that children learn best when they are interested and they are interested when they can relate to what’s being taught. All students will have access to their own laptop during class/lab hours. This allows our students to learn at their own pace, utilize the most of lab time, and always addressing their needs on an individual basis. We have a wide range of state-of-the-art hardware and cutting edge software available to our students and are constantly adding new technology as it becomes available to give our students the resources to best understand the technology. From smartphones and tablets for app development to a professional Digital SLR camera and green screen backdrop. We now offer monthly classes that your child can start at any time! We’re doing away with set times! Parents can now coordinate to find the best time that works from them between 3:00pm-6:00pm. Limited Time Only. Enroll Today! Register for our award-winning after school classes. Come party with us and see how Tech Rocks! Join Steve and the Creepers as we go on a Minecraft adventure! Simply select your Minecraft worlds to explore and leave the rest to us. 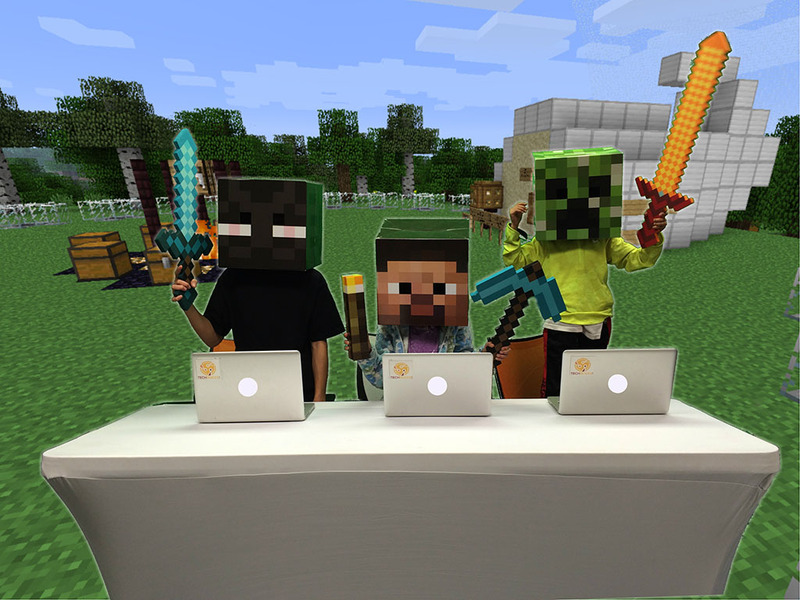 Our trained staff will lead your partygoers through expeditions, missions, and creative cooperation in our private, secure connected Minecraft worlds. Your child will have a blast discovering new worlds, working together with up to 20 friends, and crafting secret items in their own Minecraft nirvana. While the kids are playing, parents are welcome to hang out in the adjacent Party Lounge (free wi-fi) or do some shopping/dining around Olympic Village. 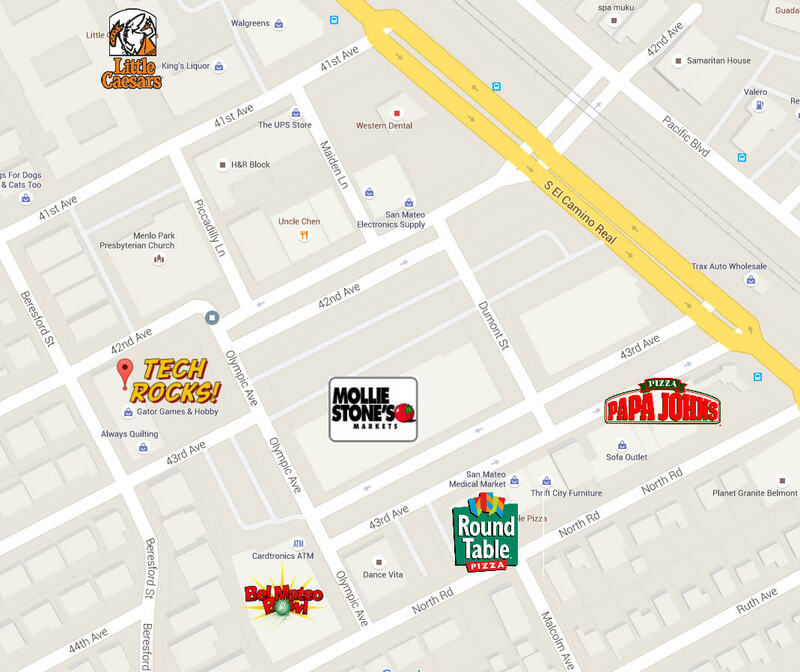 There is also Mollie Stone’s with a Starbucks, Bel Mateo Bowl (with a bar), and more nearby. Once the Minecrafting is done, you can either use a portion of your time in our party room or use the full time for Minecraft and head over to nearby Round Table Pizza where the kids can continue the party and talk about their awesome Minecraft Experience! The cancellation fee is $50 prior to 2 weeks before the party date booked, after this time, there are no refunds. There is no charge to change the date. Please complete this form if you are interested in having the ultimate Minecraft experience at Tech Rocks! Note: If you have already booked a party and would like to update your info, please use this form instead. Come Game with us on Friday Nights! Have your kids heard of Fortnite? Does your child like Minecraft? 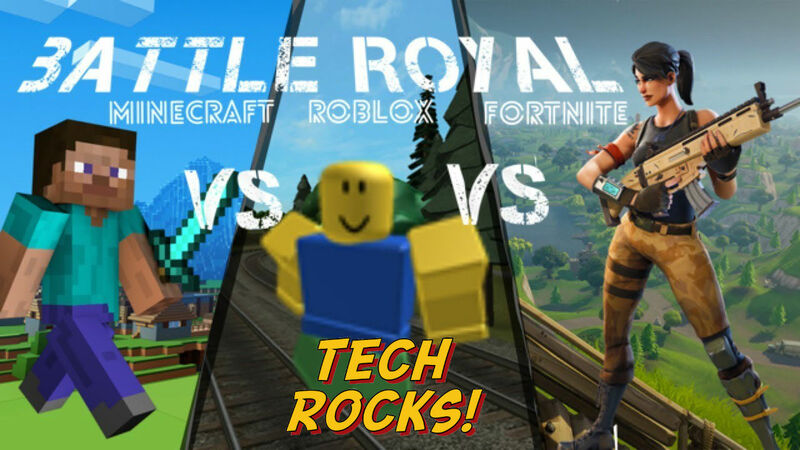 Maybe Roblox is more their style? Do you want to provide a safe and fun environment for them to play along other Minecrafters? Would Mom & Dad like to get some away time on a Friday (date) night? Then our Game Nights is the perfect solution. On select Fridays, we are opening up our labs from 6-9pm for a buffet of Minecraft, Roblox, Fortnite, and much more! Your child will play in a wide selection of creative and survival worlds, go on missions, build intricate structures, battle intense creatures, battle royale, and the list goes on. Dinner is included and will consist of pizza, chips and juice boxes. Should your child have any special dietary restrictions, you are welcome to bring in your own meal. If you’re interested, please sign up today as space is extremely limited. Note: Fortnite players may need to bring their own devices (BYOD). Note: A minimum number of 6 players is required to conduct the Open Play Friday. If there is not enough players by the Wednesday before, we will notify registered players of the cancellation and refund all paid participants. 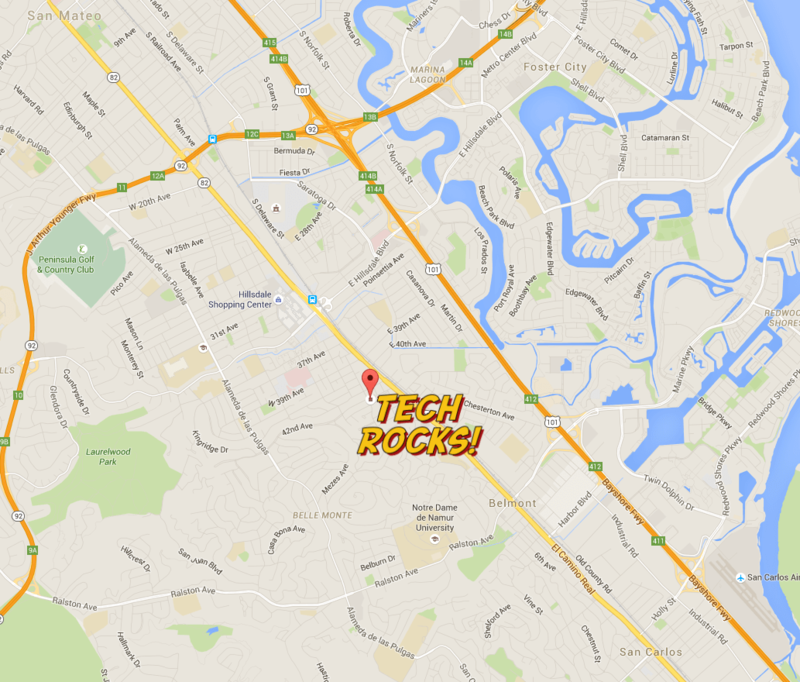 Let us come to your location to show kids Tech Rocks! Tech Rocks also offers its technology classes on-site at your location. This is perfect for local schools, PTAs, and Parks & Rec departments that would like to offer a technology curriculum but may not have the necessary resources. Now, you can easily provide these in-demand classes to your students. Students will learn how to create their own custom items in Minecraft and learn graphic design, basic computer skills, and Java code along the way. At Tech Rocks, we believe in leveraging kids’ passions & interests to teach them technology. At the end of the sessions, kids will take home a “mod” that can be installed on Minecraft for PC/Mac. Your kids see Minecraft videos all the time on YouTube. Now, they can discover how to create their own 3-D Animated video starring the characters they know and love: Steve, Creepers, Zombies. Oh My! At the end of the course, students will take home a digital video that they directed themselves and upload to begin their YouTube stardom. With personalized progress tracking, efficient touch typing drills, customized color keyboards and fun games, students will gain proficiency of this essential life skill and not even realize how much they’re learning! With a balance of learning and fun, students will become proficient typists at the end of this course, with most students being able to type without looking. Along with typing, students will also learn computing basis: File/Folder management, Menu Navigation, Mouse basics, Drag & Drop, Cut/Copy/Paste, etc. By strengthening this basic foundation, we help our students navigate the computer with ease. Students will be presented with current technology topics like: Internet Safety, Cyberbullying, Office, Cloud Computing, E-mail, Future trends, and much more. 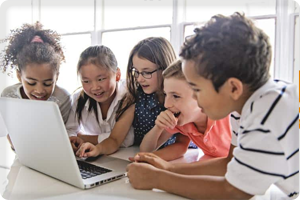 Integrated along with these engaging topics will be typing skills, as well as an Individualized Programming Track that allows each student to learn coding at their own pace and have fun while doing it. In a project/activity-based curriculum, students will create a site that they can get into. They will create a website with their own ideas and interests and learn HTML, CSS, graphic design and much more along the way. These skills blend well with the basic design for mobile apps. Students will also be exposed to understanding these mobile app concepts and get the skills to build basic apps. To inquire about arranging a Tech Rocks class at your location, please complete our inquiry form below.